I hadn’t actually seen this Nicholas Ray western since I was first discovering films as a kid and my tuning in to see it on a late show was mainly due to the participation of Ernest Borgnine. If truth be told, I barely remembered anything about it other than what I’ve read in the history books since then. That it’s a woman’s western full of sexual subtexts, having a major plot point borrowed for Leone’s Once Upon a Time In The West and a variety of other hidden meanings. Upon revisiting it on blu ray in a wonderfully restored version with an intro from Martin Scorsese, I came away admiring it on one hand, while on the other wishing I could reach into the television screen and stretch Mercedes McCambridge’s neck at the end of a rope. Her role and performance is that evil. Nurse Ratchet evil. Playing the title role is Sterling Hayden. 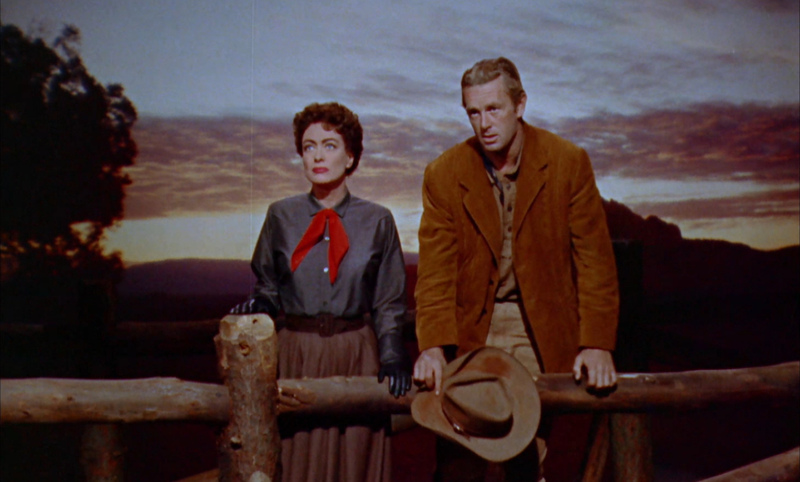 Not looking for trouble, Hayden watches a stage coach robbery from afar and eventually makes his way to Joan Crawford’s saloon that is a magnificent set. It’s interior has been carved into the side of a rocky mountain. 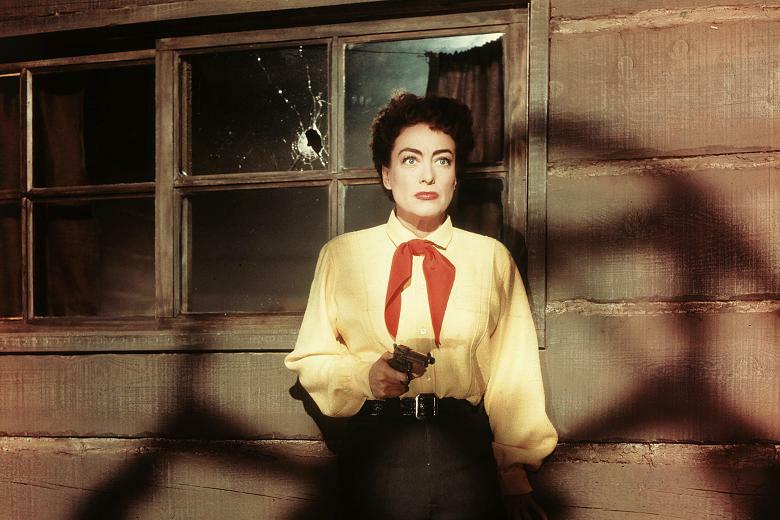 Working for Joan we’ll find a couple of John Ford regulars, Paul Fix and John Carradine. All is quiet until the righteous upholders of law and order storm in to Joan’s establishment led by McCambridge. 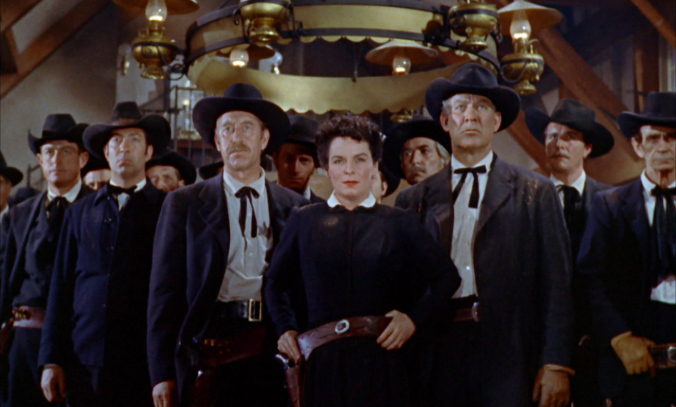 McCambridge and her posse of men in black believe that Joan is indirectly involved in the stage coach hold up. That she’s protecting her former lover Scott Brady and his three partners played by Borgnine, Royal Dano and a young Ben Cooper from being lynched. When the foursome arrive in the saloon for a drink, they claim to be mining silver up in the mountains. Tempers flare all around while the tension only rises in the all to obvious hatred between Joan and Mercedes. Over a man. Appreciating character actors like I do, I have to list out the names that one can spot in this impressive scene. We have the Brady foursome Borgnine, Dano and Cooper, Fix and Carradine, Denver Pyle, Rhys Williams, Frank Ferguson as the sheriff, and Ward Bond playing second lead to McCambridge’s blood lust. Let’s not forget Joan and Sterling either. Now that we’ve learned the supposedly genteel Hayden can handle himself in a fight, Ben Cooper is going to see first hand the demons that possess him when he holds a gun. He’s lightning fast and apt to kill anyone within shooting distance. Beyond that, Hayden and Crawford are old flames, both still carrying a torch for the other. Just another plot development in this screenplay from Philip Yordan via the blacklisted Ben Maddow? 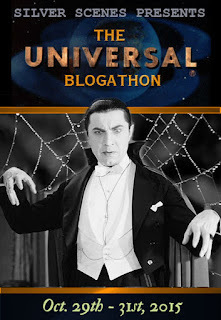 As is the custom here at Mike’s Take, I’d rather not get too far into the plot but instead focus on a few observations and bits of trivia in the hopes that I’ll create some interest in this far from typical western circa the mid fifties. It’s hard not to consider the McCarthy witch hunts here, knowing that Hollywood was a major target during the hunt for communists at this time. Mercedes and Bond lead the pack condemning those that stand in their way. Innocence be damned. As much as I like and appreciate Bond on camera, I guess I should point out that the history books tell us Ward was a leader off screen at pointing the finger towards those who had communist leanings in tinsel town. Truthfully, the way the pair and their posse are filmed at times, they truly look like they are on a Salem witch hunt. I half expected to see Vincent Price’s Witchfinder General to arrogantly stroll into camera range. While Bond may be a reluctant villain, it’s Mercedes that makes this a cruel western at every opportune time her character is given. As I mentioned earlier, Nurse Ratchet evil. A word of praise here for the low key performance delivered by Carradine. He’s like a faithful dog to Joan who stands at her side when she dares to stand alone against McCambridge and the self appointed do gooders. 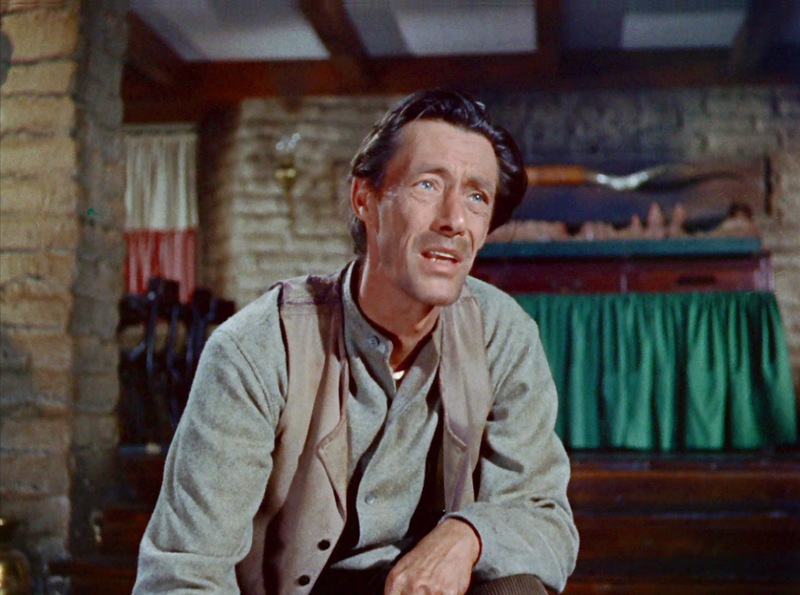 Known to ham things up, Carradine’s underplaying here reminded me very strongly of the minor roles that Hank Worden would deliver in the many films he did as a member of the Ford or Wayne stock company. 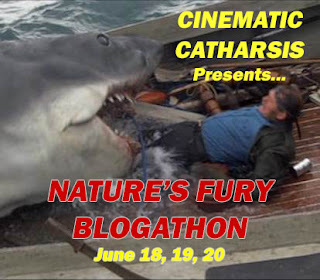 It’s a film that makes great use of color and distorting it’s usual placement. The law are in total black while Joan is at times in virginal white, Brady and the boys in various bright colors, Hayden in brown. The location shoot in Arizona is put to good use adding a luster to the many fires and explosions that come and go throughout the film’s rocky backdrop. 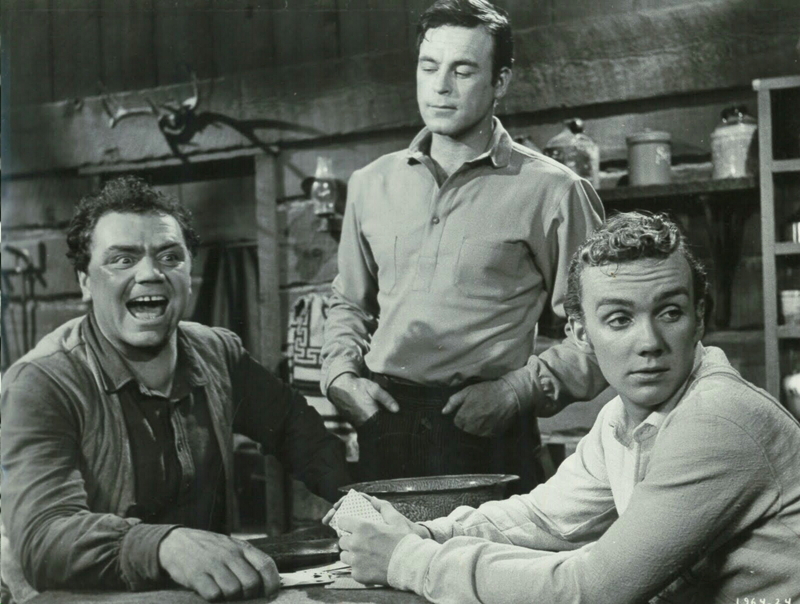 Another thing, minor as it may be that I appreciated was that unlike many other westerns, the purplish bruises on Borgnine’s face from his beat down versus Hayden remained till the end of the film. I would suggest that in most westerns, bruises magically heal up a couple minutes or scenes later. An attempt at keeping it real that did not go unnoticed or unappreciated. I’ve heard this referred to on many occasions as a campy western. I understand why with Joan being Joan and McCambridge laying it on thick but aside from a couple early scenes, I can’t agree. A cult western or perhaps a cult film is a much better tag to put upon this one. 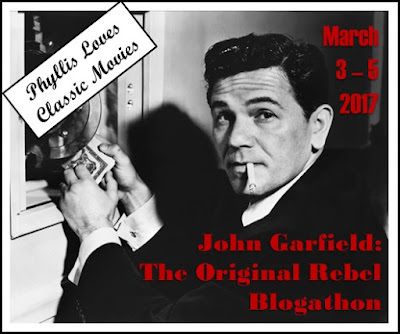 Far from a “normal” studio western, give this Herbert J. Yates Republic release a look and marvel at the feel, the photography and the cast involved. 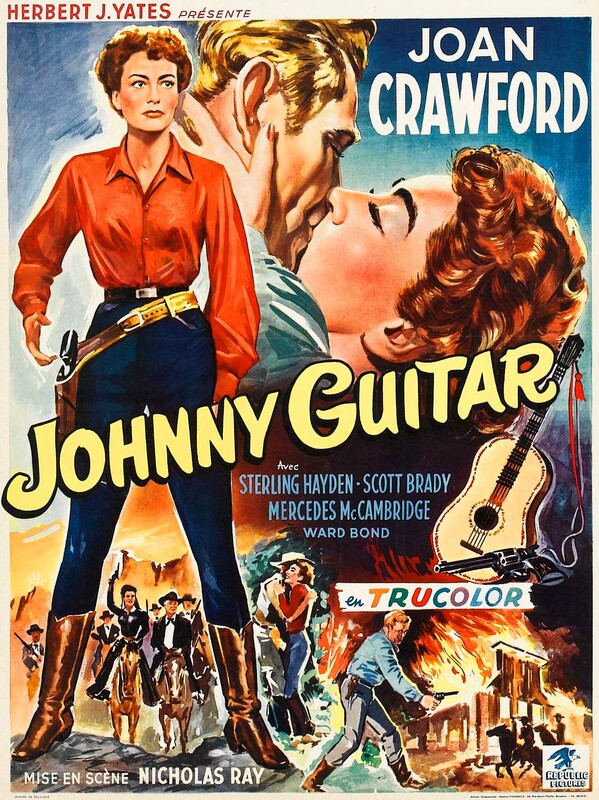 For those interested, I’ve included a link to the trivia page on Johnny Guitar at the IMDB. Plenty of fun tidbits in here on the Joan/McCambridge/Hayden teaming. This is very much an acquired taste and, fortunately, one I acquired quickly. While it’s by no means conventional or typical it is a fascinating experience. The 60s saw a number of these richly seasoned westerns and it’s a tribute to the breadth and flexibility of the genre that it was able to accommodate them all. It’s not the typical B style film that populated the double bills, that’s for sure though I suspect it was accepted as one by the public at the time. Glad I revisited it after so many years. I like how Joan’s white outfit in the big chase scene doesn’t seem to get a speck of dirt on it. Wouldn’t want to dirty up a star of Joan’s magnitude would we? 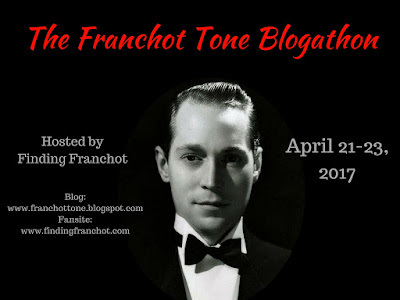 It would be would be instructive to compare this film against: ‘Rancho Notorious’ (1952). Westerns have never appealed to me, but it is always a pleasure to see Joan or Dietrich. Sorry about the extra would be. 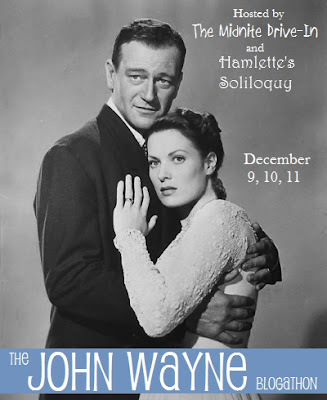 Funny, I thought of that film while watching this one, another of the :female” westerns and From Lang I believe. Maybe I’ll revisit this one as well, like Guitar, I haven’t seen it since I was a kid. One I’ve always wanted to see, camp or no camp. 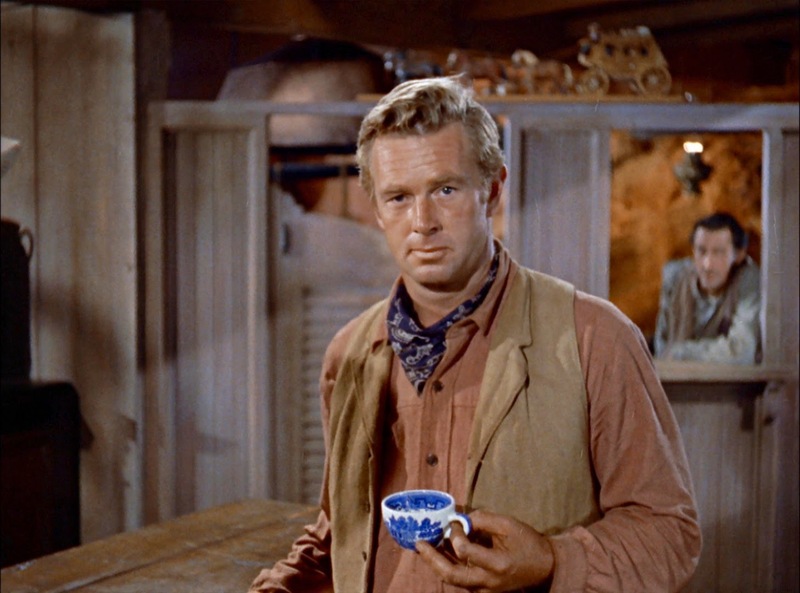 And I’ve only seen Sterling Hayden in noir films and Dr. Strangelove, so it’ll be interesting to see him wearing Western garb instead of a suit and tie. Hayden fit in nicely to the genre and made quite a few lower tier B’s in the genre. Some good some ok. Worth a look.